Anson Burger - Pop-punk Octopus! This is a Graphic I did for Tonight Alive band. It is it was designed to be for a t-shirt but be able to function other places like a sticker as well. 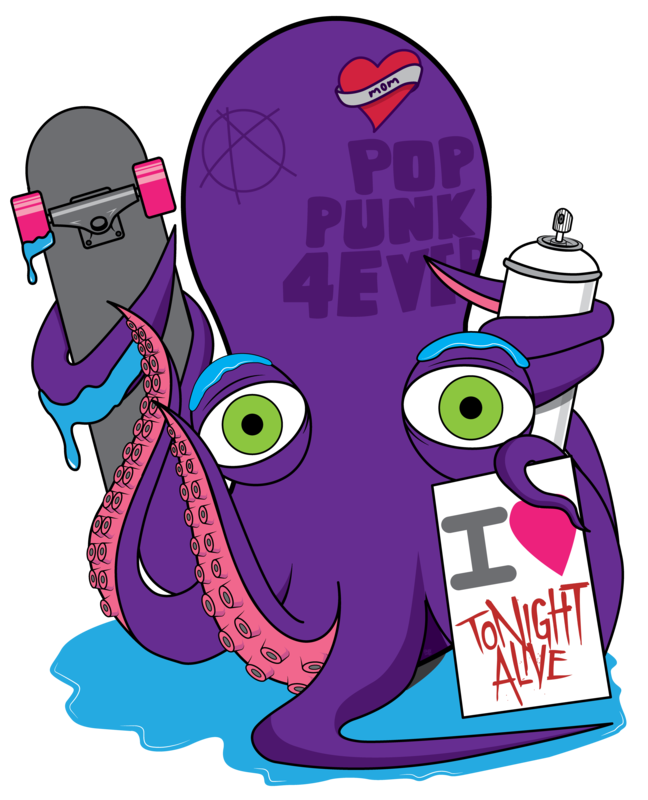 The concept was an octopus that loved Tonight Alive and wanted to tell the world so he made a sign to do so. This t-shirt was produced and is being sold on there merchstore. T-shirt Graphic for Tonight Alive Band.